The selfie stick may become one of the most popular camera accessories sold this holiday season. After all, the explosion of social media and the growing trend of selfie photo sharing is showing no signs of a decline. Whether this is a good or bad thing is a topic to be explored later, but there is no doubt that these cell phone accessories are getting more and more popular. Whatever you call them, camera extenders, selfie poles, or selfie monopods, it looks like they are here to stay for a while. Let's talk about what you need to consider if you are searching for the best stick to take your self portrait. You want your selfie stick to have features that makes sense. 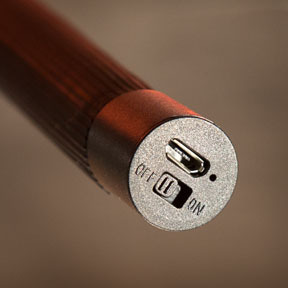 This stick has a USB port and On-Off switch built into the end of the handle. 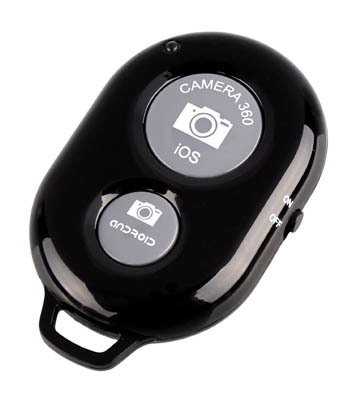 Some camera extenders come with a separate remote shutter release accessory, meaning you have to hold the stick in one hand and hold the remote release in the other hand. This is a biggie. Your selfie tool should be the right size in your hand. If it's too small it won't hold your camera sturdy when fully extended and your camera is at risk. If it's too big you won't want to carry it along with you. It's important to know a few things about the camera extender arm before you find yourself disappointed with how they work. There are two basic types of extenders and they have different purposes, performances and prices. For taking a self portrait, commonly known as "Selfie", the smaller and lighter monopods are often referred to as camera extenders. 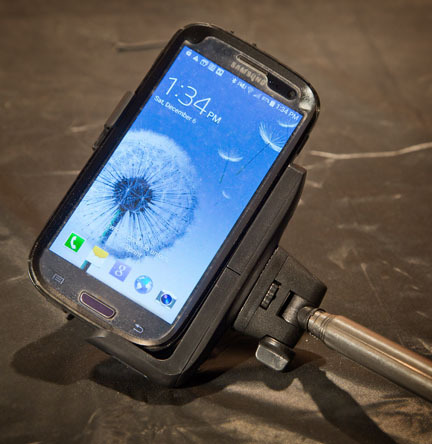 The Xshot is one of the most well known and biggest sellers of extenders for selfies and GoPro video shooters. COST. Remember the long-known rule that you get what you pay for. TOTAL LENGTH. Planning on photographing yourself with a large group? Then you'll need a little extra length. Most extenders sag a bit if fully extended. If you only expand your extender partially, you'll have overlapping sections add to the strength of your gadget. NUMBER OF SECTIONS. This affects the sturdiness, total length, and weight of your selfie monopod. TILTING MECHANISM. Traditional monopods don't often automatically come with a tilting, or ball head to adjust the angle of your camera. Just about all of the selfie extenders arms do. NEGATIVE REVIEWS. Basing your decision of reading just one negative review of a product might steer you away from an accessory that would be perfect for you. Look for a source that has a bigger sampling of reviewers to get a more realistic idea of the value of a product or service. Traditional camera monopods are heavier, sturdier, and capable of supporting DSLR cameras and other accessories. Beware of the lightweight extenders that claim to support DSLRs. 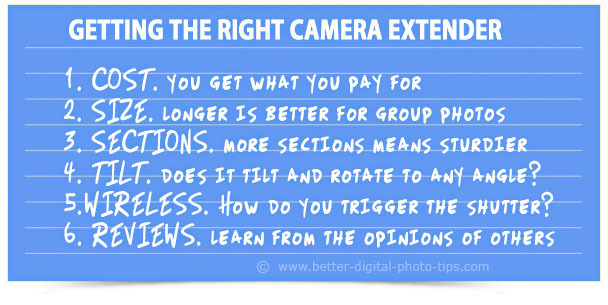 There are extenders that are priced less than $10, rated as good-not great-that may suit your uses with very light point-and-shoot cameras and smaller smartphones. 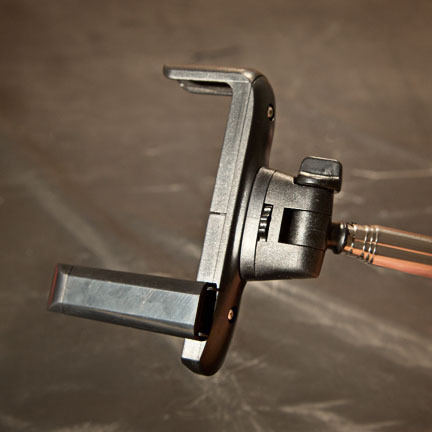 On the flipside, there are heavy duty monoods like the Gitzo 6-section one pictured on the right that cost over $300. 1. STRANGER AVOIDANCE. You don't have to ask a stranger to handle your valuable camera or cell phone camera. No possibility of them dropping your camera. If you are too shy to talk to stranger, with a selfie monopod you don't have to request help from someone you don't know. No need to guess which stranger you can trust to get a decent photo. 2. AVOID YOUR ARM. You can avoid including your distorted arm in the corner of the photo. You can compose your photo without the distraction of your arm with the right position of your arm when you shoot with a stick. 3. GROUP PHOTOS. Get your camera farther away to have a wider view. Some cameras have a wide-angle feature, but it may not be enough for large selfie group photos. Also good for including more background behind you. 4. CREATIVE PERSPECTIVES. You can get your camera higher or lower for more interesting angles. Overheads and ground-level perspectives often lead to really cool photographs. Here is a short video that will give you some ideas on how these sticks are used. This particular model has a separate wireless trigger-a feature that I don't really like. I'd rather have the trigger on the end of the pole. I narrowed down my search to two best sticks and chose the one below. It was by far the biggest seller and I really wanted the remote shutter button to be built into the handle. It was a few more dollars to get that feature, but I only want to buy one of these gadgets and be satisfied with it. My own detailed review of it isn't too long, but thorough enough to let you see why I chose it. The one I considered the best for my wishes is no longer available, but you can use the search box to find the best ones now. It had the very highest ratings from shoppers and I like the money back guarantee I get from Amazon. I purchased the Dreamcatcher Bluetooth selfie stick for a few reasons. Yes, I actually wanted to take some selfie photos, but I could do that by setting up a tripod or using a beanbag and then using the camera's self-timer function. 2. CREATIVITY EXPANSION. Secondly, I also thought it would be a great challenge to my creativity to capture some unique selfies without being too self-centered or narcissistic. I did my due diligence. I scoured the web for information and learned about the different features, sizes and load capacities. I settled on a design that was intended specifically for cell phones and would be fully compatible with my Galaxy S3-I know that sounds old-with the right fit. I also wanted one with a built-in shutter release button. Initially, I considered a heavy duty camera extender that would work with my Canon G1X Mark II, but later decided to go with an accessory that is more mainstream, for people shooting selfies with their cell phone cameras. I then proceeded to my favorite online retailer and read the reviews and opinions of consumers. The number of models being offered is staggering and it took quite a bit of time to sift through them and evaluate everything for the best fit. 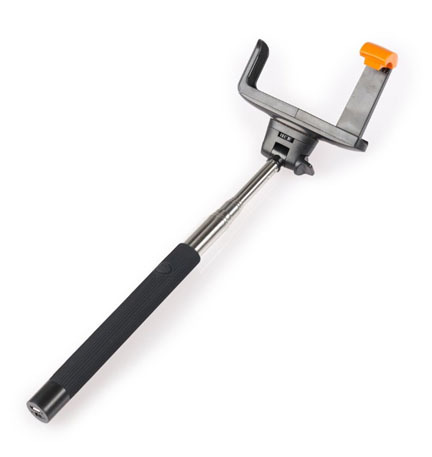 I was pleasantly surprised to find a bluetooth selfie stick with 96% of reviewers giving it a 4 or 5 star rating. That is very unusual for any product at all, particularly a camera accessory that only costs $25. I decided to give the Dreamcatcher Bluetooth Selfie stick a try. That model is no longer available, but there are still plenty of good ones to choose from. I was a little concerned when it first arrived from Amazon because the monopod's box I received was completely different than the one pictured on Amazon. There are some retailers on Amazon who try to bait and switch, so you just have to make sure you buy from a reliable seller. Fortunately, all of the contents inside were as expected, it was easy to set up and synchronize with my phone, and it worked perfectly. I was surprised at how sturdy it felt in my hands. Sturdiness was my biggest concern as many of the reviews on other competing models had various complaints about flimsy and loose-fitting brackets. I soon discovered that it was a much better fit to remove my "Otter" soft rubber case first before securing my phone inside the bracket. The Dreamcatcher has a rechargeable battery to power the Bluetooth signal to the camera. 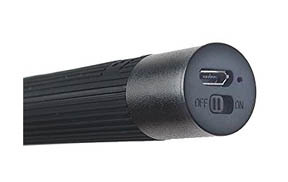 The signal requires very little power to send its signal a few feet at the most and the battery should have a nice long life before charging is needed. The plastic bracket has a sliding arm with an internal spring to hold the phone fairly securely and a standard 1/4 inch threaded hole to attach the pole. You could also use the bracket to attach your phone to a tripod or traditional camera monopod if you didn't want to use the telescoping stick handle. WARNING: Remove any soft or hard shell case you have on your phone before attaching to the stick's bracket. The spring is only moderate duty and will not withstand excess pressure to widen the arm too far. The shutter release button on the Bluetooth selfie stick is quite small and must be depressed in the right direction to work properly. It wasn't a big issue, just something that had to be learned specific to the model I purchased. The On/Off switch is very small too and is located on the end of the camera pole below the battery charging port. Overall I was impressed with the design for such an affordable accessory. I never felt like my phone was in danger of falling out of the holder. I also had no issues with the camera spinning on the shaft. It remained locked in place when I tightened the screw snugly. At full extension the Dreamcatcher selfie stick had a little bit of sag and requires gently handling when shooting with all its sections fully extended. For the price it was a good value. There's a new kid in town. 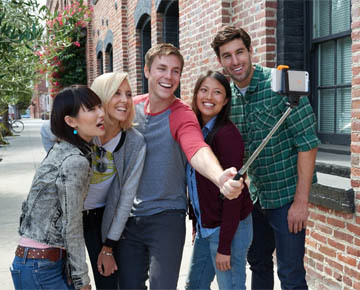 Could it be the death of the traditional selfie monopod? You be the judge. 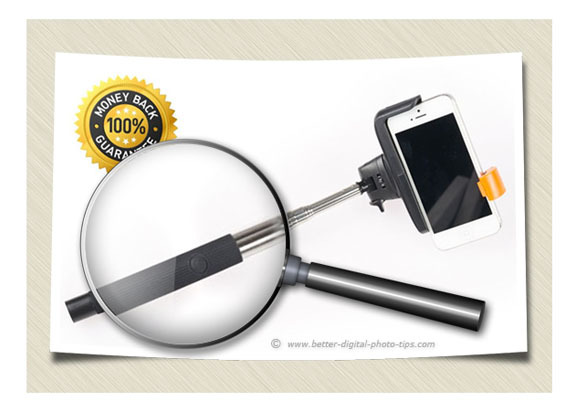 Sticks for taking selfie portraits have exploded as one of the top camera and cell phone accessories to get and yet, suddenly there is a new interesting, if not quirky, contender on the scene. 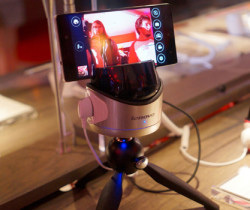 A company named Lenovo, has designed a robotic device for helping us take those ubiquitous selfies. That's right camera fans, we now have a robot that can pan and tilt, take panorama photos and videos with a super wide viewing angle, at your disposal. 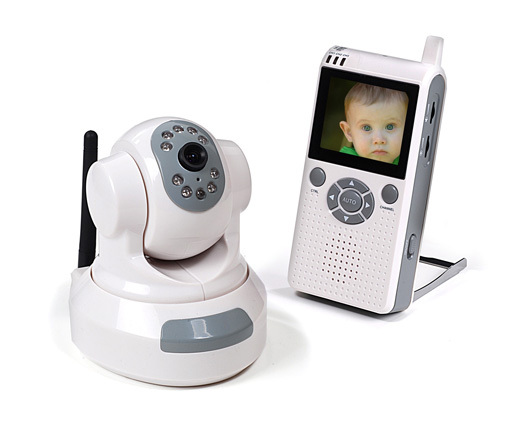 It uses an infrared signal to control its movements remotely and it comes with face recognition and gesture tracking. UPDATE-Sadly, things didn't work out right for the Fiebot, but fortunately there are some interesting alternatives for selfie robots. How about Fiebot 2.0? The designer of this modern camera accessory said the next version would have a projector and speakers, so you can project your images and videos onto a nearby wall for viewing. Let's not stop here. Future models will be able to move around on wheels and will come with their own built-in camera. It might turn into the tragic death of selfie monopods. 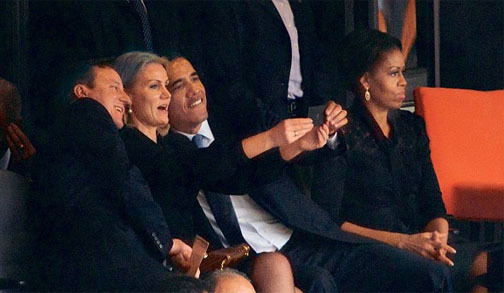 So many people are simply having too much fun for the selfie portrait to go away. What about selfie stick reviews? There's simply way too many on the market for any one review site to cover them all. I did a search on Google for "selfie stick reviews" (also called selfie monopods). I am a Google Geek and often do several keyword searches when I am looking for information on just about anything. When I am researching products I like to research several vendors to see who has the most reviews and for the most part Amazon has the most for a large variety of products. Not including the paid advertisements I visited the sites to check the numbers and read the reviews while I was there. 1. B+H PHOTOVIDEO. Surprisingly enough, the top result was not a link to a traditional product page, but rather to an article on the b+hphotovideo site. I searched their site for selfie sticks through their product search function and got 5 results with a combined 18 reviews. 2. YOUTUBE. The second result was for a Youtube video on one specific selfie monopod and the third result was for a company called istabilizer.com that makes about a dozen techie clamps and arms, one of which is specifically for taking selfies. The istabilizer appears to be very well designed and made, based on its steeper price tag and 79 reviews, almost all of which were 5-star reviews. I am sure that not all of those results were actually sticks, but I did check each of the first 10 pages of results and they were all selfie monopods. On the first page of results the 27 sticks listed had a combined 1893 reviews. Taking away the duplicate items that sometimes appear on the same page with Amazon searches, there were still over 1300 reviews. Reading a large number of reviews is a great way to learn about the features and advantages, as well as the negative issues that come along with buying and using products. Results like these are why I became an Amazon prime member quite a while ago. I like the free two-day shipping on so many of the products and I like to be able to research products thoroughly before buying. Although the tools we use may change, some form of the selfie will live on. Self portraits have been in existence as long as art has. Just look at the walls of the caveman, the paintings of famous painters, and now the Facebook page of most teenagers and celebrities. Selfies have become an artform. Just look at all the fun people are having making creative selfies. Have a blast taking your selfies! It's a great time to be interested in digital photography and all of the equipment and accessories we've got at our disposal. Shoot more selfies. Shoot better selfies. The taking of selfies has been criticized and so too are the sticks that make selfie portraits better. They are simply accessories, just like the regular camera monopod, that improve our photography experience and the quality of our images. This selfie stick with a mirror is cumbersome to use. You can use it to see the LCD screen on the back of a point and shoot camera that doesn't have an articulating (rotating) screen. It makes more sense to use your phone for a selfie than a point and shoot camera. 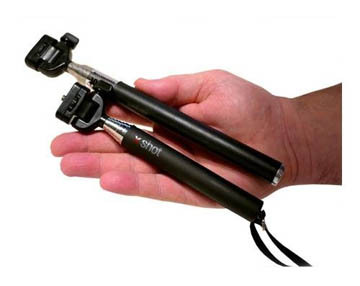 Monopods for regular digital cameras must be much bigger and stronger to carry the added weight. Using a separate remote control requires you use both hands to take your self-portrait.